Comments Off on Koh Ngai Thanya Resort. 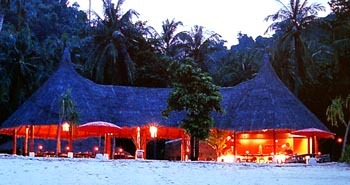 Koh Ngai Thanya Resort is the newest luxury boutique resort on Koh Ngai island in Krabi province, Thailand . 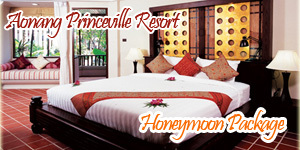 The resort offers Thai style deluxe accommodation on the beach. The beautiful Thai style bungalow villas are finished in an exclusive, contemporary design with Thai art. They are simple in style, modern in taste, providing the perfect escape at the end of the day. Koh Ngai Thanya Resort offers, comfort and privacy surrounded by tropical gardens and forest alongside the serene turquoise sea and a fine white sandy beach. Comments Off on Koh Ngai Fantasy Resort. Welcome to the real paradise of Andaman Sea, “The Fantasy Resort” Koh Ngai or Koh Hai, an island drenched in tropical sunshine with golden beaches lapped by the warm crystal clear water of the Andaman Sea. The rustling of palm fronds in the ocean breeze, hilltop vistas of lush rain forest, And the almost surreal beauty of the cozy Andaman Horizon. Comments Off on Koh Ngai Mayalay Resort. 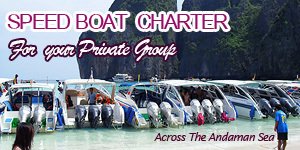 Working Hotel Partner, Koh Ngai Mayalay Resort is located on Koh Ngai. There are eight bungalows; four with air-conditioned and the others with fan, a big beach restaurant and bar named MAYALAY, and a tour desk. 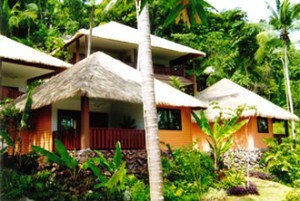 The bungalows are made of natural materials like wood, bamboo, lalang and nipa palm. 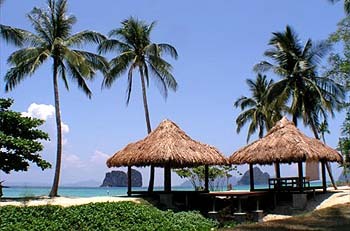 Working Hotel Partner, Thapwarin Resort, on Koh Ngai, Krabi, sets on a beautiful white sandy beach. Koh Ngai or Ngai Island is only accessible by boat. Thapwarin Resort is a peaceful and relaxing resort which offers a wide range of modern amenities and services in its 29 guestrooms and throughout the property. The accommodation consists of charming natural style cottages which are made of natural materials, such as wood, bamboo and nipa palm. Electricity is provided all day and night in High Season and from 4.00 pm. – 10.00 am. in Green Season. Completed services and facilities, together with its convenient location make the resort a perfect choice for visitors. Comments Off on Co Co Cottage Resort. 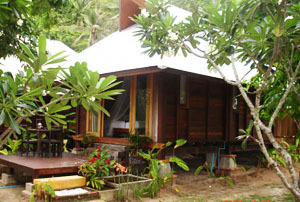 Working Hotel Partner, Co Co Cottage Resort is an Environmental – Friendly Resort. All rooms are decorated in natural style, with extensive use of wood. It might seem that we are harmful to the nature since all the cottages are made from wood. But we are sure of the most environmental-friendly way we could find comparing with concrete or some other components not been dissolved by the nature. It incurs more cost to renovate, but we prefer to take it since we need you to be surrounded by the nature as much as we could to let you escape from the concrete forests in your everyday life.